This past weekend was IMATS Toronto and I went this year on Saturday with my cousin we stayed for about 2-3 hours and then we did other stuff. 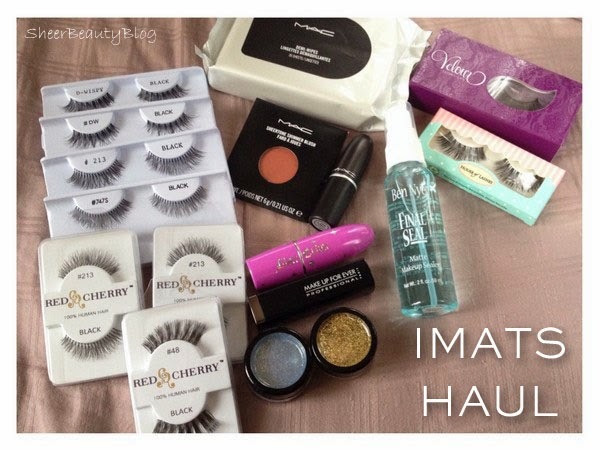 I had over all a great day and here are the items that I bought this year at IMATS. IMATS was ok this year we did stay for long so this year I didn't see any guest speakers or stay around for the student competition because my cousin and I woke up at 6am to get ready and be there a few minutes before 8am which is when they open the door. They didn't start until about 8:30am and the two booths that were packed was MAC and MUFE they had the biggest crowd of people. We went to both booths but decided because we waited so long at MUFE we didn't want to wait again in another long line because we were so hungry so the items I got at MAC are actually from the MAC store and not the booth at IMATS. 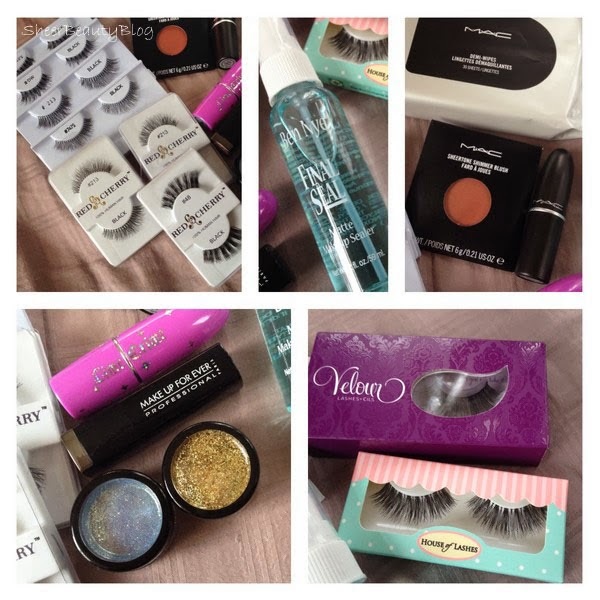 Overall I saved on the MUFE lipstick which MUFE had a 40% discount, the Garland lashes and the Velour lashes. But the Red Cherry lashes you can buy online for around $2.50 as well the vendor that sold the House Of Lashes jacked up the price to $12.00 when online it's $9.00 for one pair but I just with shipping and handling I probably saved a bit of money. What did you get at IMATS or what are you planning to get when it comes to your city?